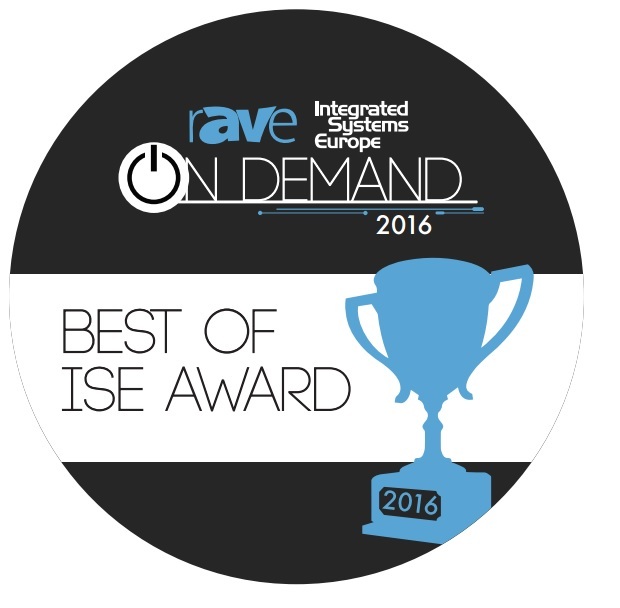 MILPITAS, CA--(Marketwired - March 29, 2016) - Industry Leading RavePubs.com sent reporters to EVERY booth/stand at ISE 2016 in Amsterdam to review and select the TOP products for the 2016 Best of ISE Awards. The results are in, and 22Miles wins Best Digital Signage Software & Interface. 22Miles Publisher Pro Digital Signage Software enables new ways for users to create and send digital signage content to touchscreen displays, digital signs, video walls, 4K displays, and mobile devices. It's all-in-one platform, and CMS was designed to simplify and improve facility wayfinding, corporate communications, and branding for organizations. The free form; WYSIWYG design platform makes it easy for graphic designers, marketing agencies and media companies to create immersive experiences. This fully scalable platform can be deployed via Cloud or Enterprise. Smart Pathway - an intelligent algorithm that auto-generates directions based on shortest path and ease of accessibility. Take your map - print, Text or email directions to your mobile device. Construction Pathway Re-Routing - Smart detour scheduling capabilities. Publishing to mobile/web devices by 1-click. Reuse the same map and directions developed for touchscreen; 1-click publishing to mobile/web devices. Built-in Multi-language Support. You can easily add a new language or manage existing languages and translations on-the-fly. Map It Now - receive instant turn by turn directions. Mobile Way­finder. Embedded with QR codes or customer URL; send multi-destination, multi-building, multi-floor, one-way, and popular locations to any users' mobile device. 22Miles, Inc. is a full digital signage and wayfinding solutions provider. As the first multi-touch for business software provider at CES 2009, 22Miles has made it possible for people to interact with large-format touchscreens and kiosks in a smooth and responsive smartphone-like way. That same year, 22Miles multi-touch technology beat out over 4,000 global teams to win the Grand Prize in Microsoft's Code7 contest. 22Miles offers unique client and partner programs that fit the specific needs and skill sets of any type of users. 22 Miles solution is supported by a comprehensive online 22Miles Digital Signage Sales Academy, Sales Library, and Wiki Support Center.